The Duchess of Cambridge debuted the Gianvito Rossi 'Mila' suede pumps at a reception in Paris on St Patrick's day 2017. 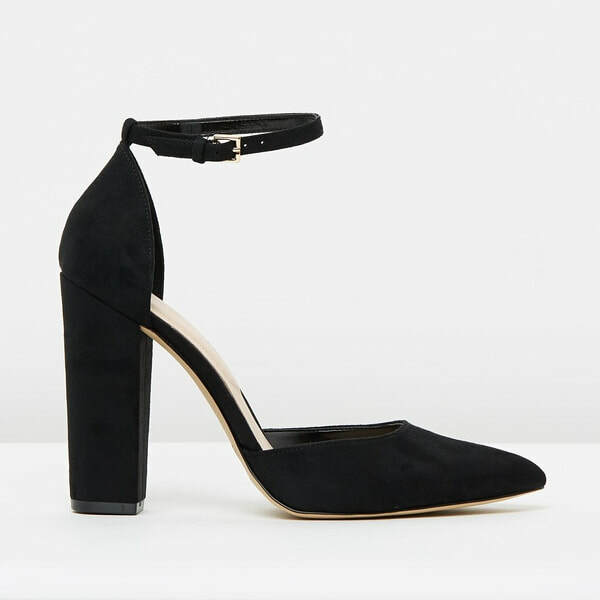 The black suede pumps have a d’Orsay silhouette with a pointed-toe and finished with a thin buckle ankle strap. STYLE FILE: Gianvito Rossi Black Suede Ankle Strap d'Orsay Pumps as seen on Kate Middleton, The Duchess of Cambridge.